A number of physical therapists (like those at Amherst Physical Therapy) are increasingly utilizing a new technique that’s effective in providing relief for your aches and pains: dry needling. The technique – which is NOT acupuncture, or the manipulation of the body’s energy – works directly on the painful points in muscles commonly referred to as trigger points. Those trigger points are a taut band of skeletal muscle located within a larger muscle group. Tender to the touch, a trigger point may cause pain to other parts of the body. “Think of muscles as a rope,” says Matt Minard, DPT, a physical therapist with Carolinas Rehabilitation in Charlotte, NC. “If you get a knot, it can affect the muscle’s ability to contract, lengthen or function properly.” Using a needle the thickness of a human hair, he says he can break up that pesky knot (Men’s Health). If you have an injury or are suffering from any type of pain, Amherst Physical Therapy is here to help. 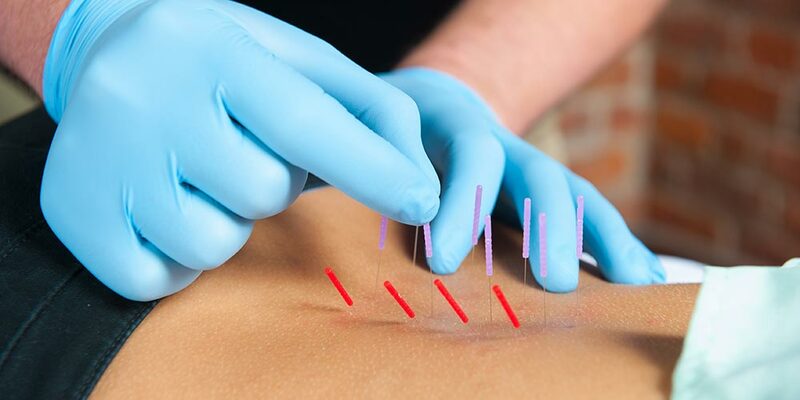 Our physical therapists are highly trained in the latest treatment techniques – including advanced training in dry needling – and offer only evidence based approaches in treating musculoskeletal injuries. We help you get back to feeling your very best!